Pick up for less than pallet orders is available from our Mount Druitt warehouse or Penrith Shop. We have a regular delivery service for full pallet quantities throughout the Sydney Metropolitan area, and the greater Sydney areas including Penrith, Blue Mountains, Windsor, Richmond, Gosford and Wollongong. 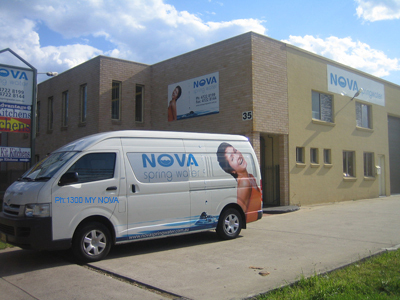 We also have a regular delivery service for delivery of our 12 Litre Bulk Water Cooler Bottles to homes and offices in the Penrith and Mount Druitt localities.